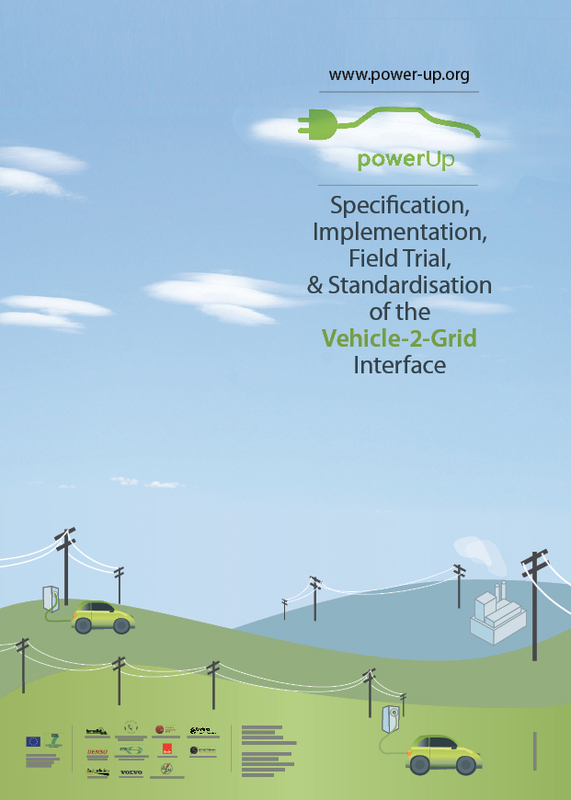 PowerUp aims to develop the Vehicle-2-Grid (V2G) interface, involving a full development cycle of physical/link-layer specification, charging control protocol design, prototyping, conformance testing, field trials, and standardisation. 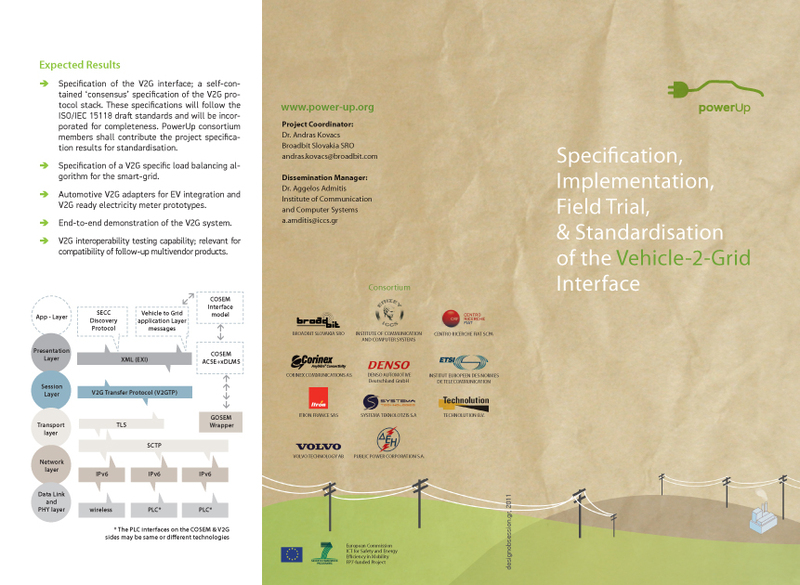 Its results will ensure that FEVs smoothly integrate into emerging smart-grid networks. Thereby the efficiencies resulting from robust grid operation may be achieved; V2G capabilities will smoothen the daily fluctuation of electricity demand and will enable FEVs to act as emergency energy supplies. 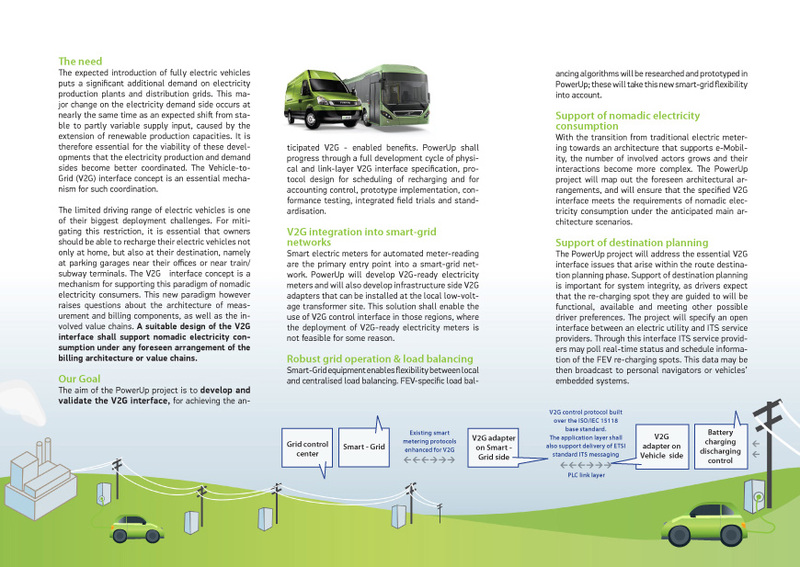 To achieve these desired results, it is essential that any electric vehicle type would be compatible with any European smart-grid network.